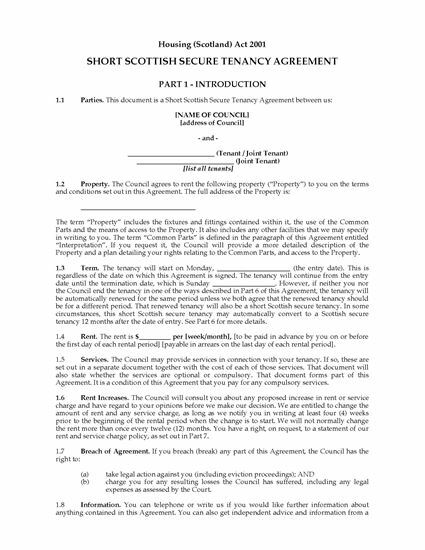 Let rental units to tenants with this Short Scottish Secure Tenancy Agreement, in accordance with the Housing (Scotland) Act 2001. 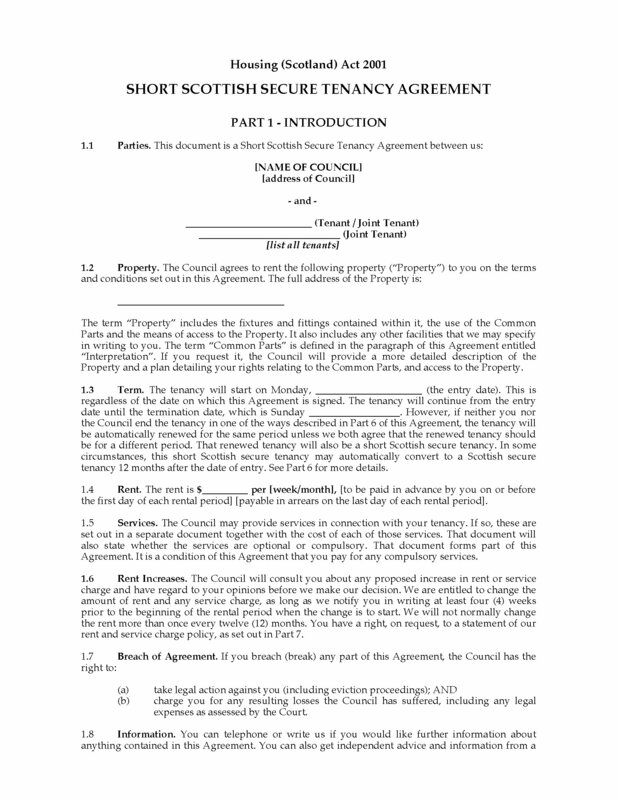 The tenancy runs for a specified period of time, but if neither party terminates the tenancy, it will be automatically renewed for the same period. 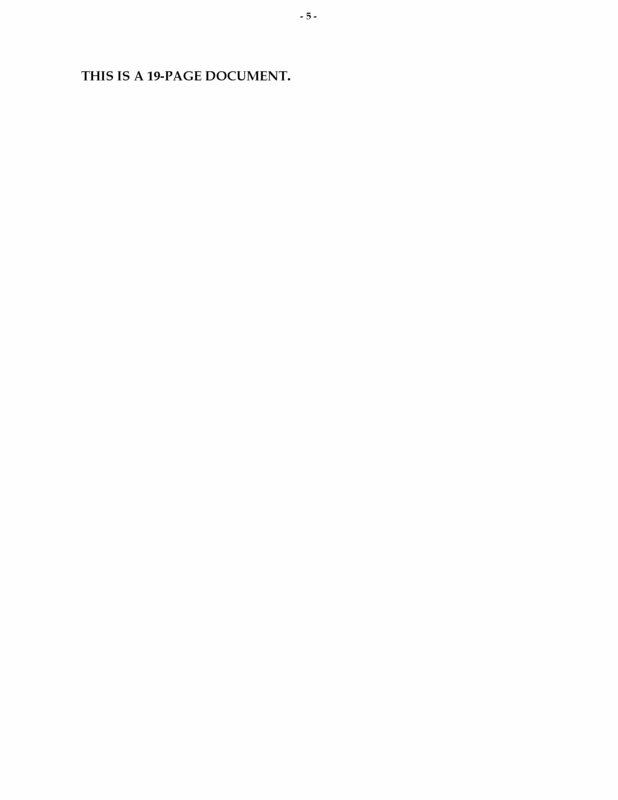 In some circumstances, the tenancy will automatically convert to a Scottish secure tenancy after 12 months. The council will consult the tenant prior to any increase in rent or service charges. The tenant is responsible for keeping the property clean and in good order. The tenant must take his/her turn with the other tenants in keeping the common parts clean and tidy. If the tenant has exclusive use of a garden, the tenant must maintain it and keep it tidy. If the garden is shared with other tenants, they must all take turns to maintain it. The council is responsible for keeping the property wind and watertight, tenantable and fit for human habitation. 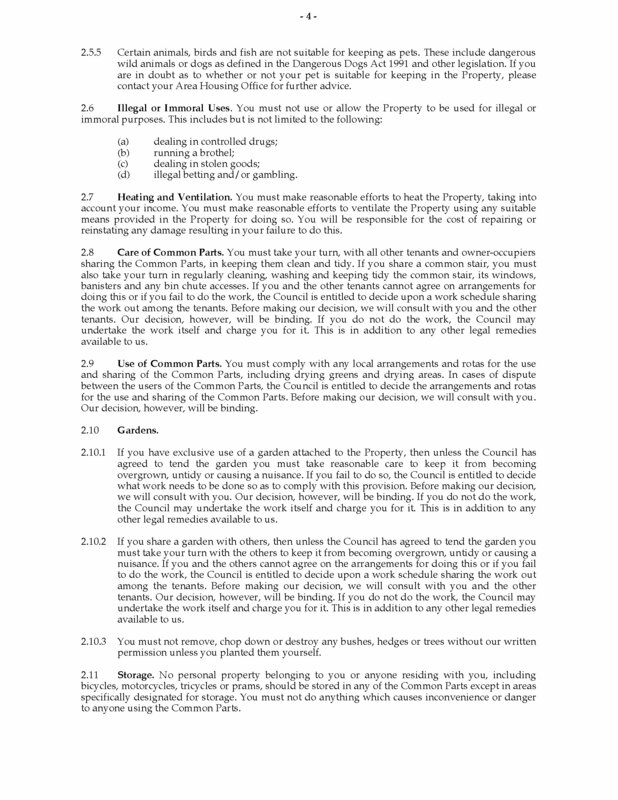 One pet is allowed without the council's permission, unless the dwelling is a sheltered housing property or flat. Certain animals are not allowed under any circumstances. Tenants must not engage in harassment or anti-social behaviour, which could result in the tenancy being ended. The tenant may take in lodgers, sub-let the property, assign or exchange the tenancy only with the council's written permission. 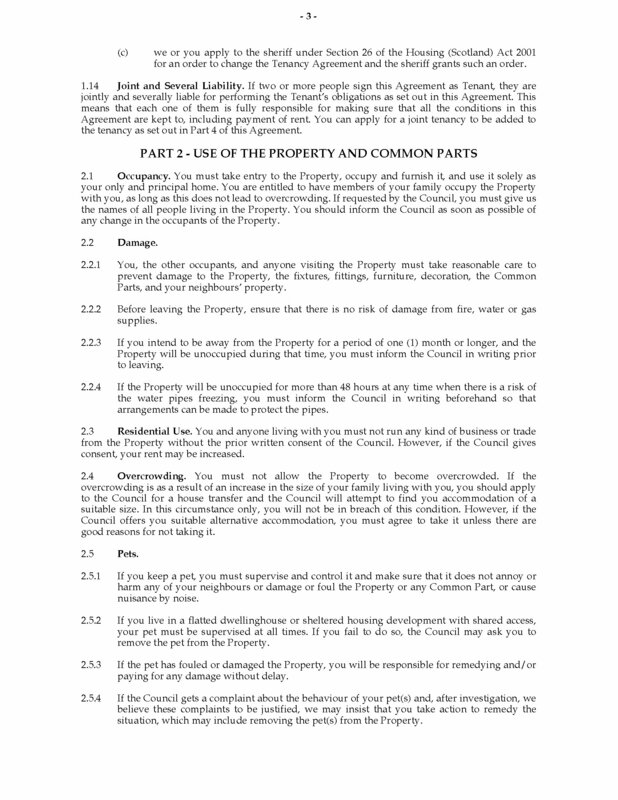 Circumstances under which the tenancy will convert to a Scottish secure tenancy. 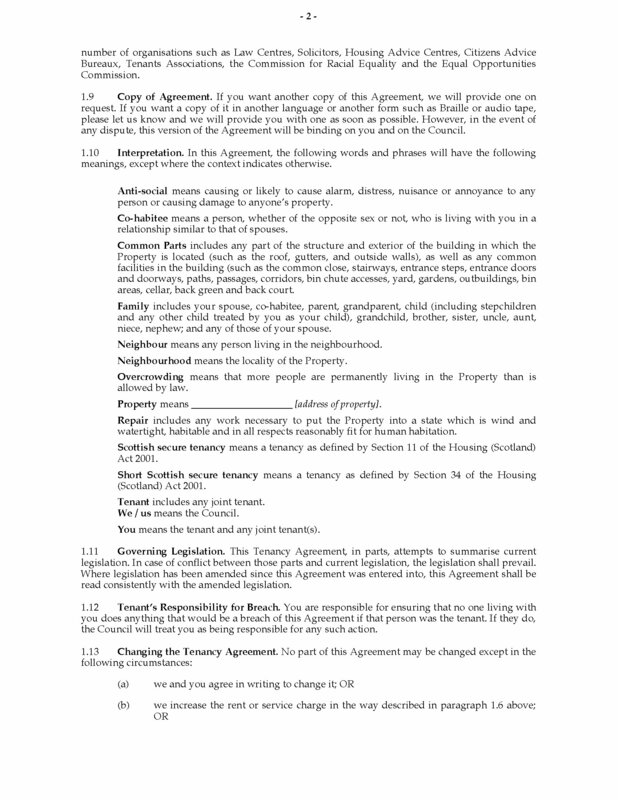 The Short Scottish Secure Tenancy Agreement is fully editable to meet your needs. Affordable, convenient, easy to use.